Effective immediately, only those shoes that accommodate all five toes in one compartment are authorized for wear. Those shoes that feature five separate, individual compartments for the toes, detract from a professional military image and are prohibited for wear with the IPFU or when conducting physical training in military formation. 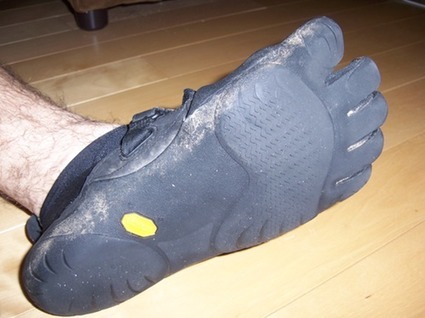 Certainly the FiveFingers look strange, but they’re performance gear, so why does it matter? Defense expert Thomas Ricks is quoted in the Slate link, rightly pointing out that “An army that is more concerned with looks versus results IS a matter of national security”.